Home » Internet Marketing » Organizing Your Internet Marketing Business – Have You Done This? A lot of online marketers believe IM is one of the easiest business models to do. And you'll see a lot of methods advertised as “making money in your spare time.” But the real truth is that IM is just like any other business model, and you'll need to work and spend time on it if you ever want to see any money. If you want to do it the smart way, you'll find out how to organize your business and do it. Having organization in your business will make you more efficient so you can concentrate on activities that make you money. Next we'll review some tips to organizing your business that will help you earn more. Decide to give your attention to email reading/writing maybe twice during your day. In time it won't just be email because you'll start receiving regular mail about your business. So set aside maybe two half hour periods for reading/replying/filing all mail. Doing this will let you keep working on your business which obviously is important, but it will also ensure your important mail gets read. As you know, online communications really are expected to be replied to within several business days. Adopting this habit will help you keep focus and not feel like you must read or reply to every email as soon as it hits your inbox. A simple monthly calendar is highly valuable. Then write any important dates, goals, deadlines and such on your calendar. When you write your daily ‘to do' lists, you can always consult your calendar. 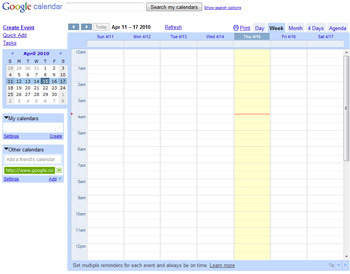 Very many marketers report excellent results with using calendars. It helps them stay on track and not over-burden themselves. Using calendars will definitely help you maintain the your priorities in the right order. It sounds old fashioned but there is a reason that calendars are still around: they work! Make a “To Do” list every day. You'll find it's very helpful to see a list of items you need to accomplish each day. This way you can simply go down the list. They'll be handy when all of a sudden you have some time freed-up. You could keep two lists. Use one list for the daily things you want to do each day: responding to emails, sending invoices, recording financial data, and things like that. The second list is for tasks that need more time to complete such as marketing activities, product creation tasks, etc. So all you'll do is work from the second list when all the items on the first list are completed. When you decide to organize your internet marketing business, it’s not necessary to plan out every detail of the day. You can just make a to-do list every day and make a filing system. It is true though, the more you become organized in your online business, the more profits you’ll realize. So know that organizing your business keeps you focused and saves you time so you can concentrate on making money. This article’s worth reading. Thanks for your post.